Early signs of pregnancy can be hard to recognize. Here you'll learn about common pregnancy symptoms, home pregnancy tests, and more. 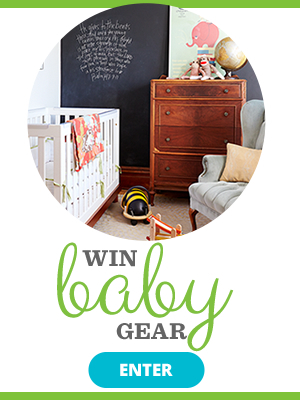 Plus, don't forget to check out ways to break the news that you're pregnant! 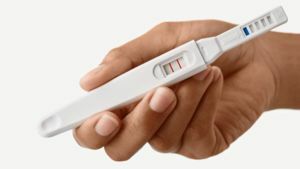 You've taken a home pregnancy test, and the result is positive. But is there any chance that it could be wrong? Becoming pregnant when you have an IUD isn't common, but it can happen. 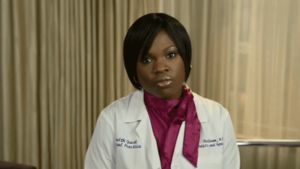 Find out the symptoms and implications of an IUD pregnancy. Forget about a phone call -- these real mamas came up with creative ways to reveal their pregnancies. Holidays are popular times to tell friends and family you're expecting, and Easter is no egg-ception! (Sorry -- we couldn't resist!) 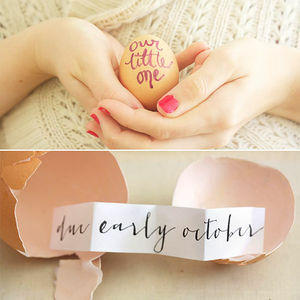 From sentimental to hilarious, these pregnancy announcements are all about eggs, bunnies and, of course, babies. 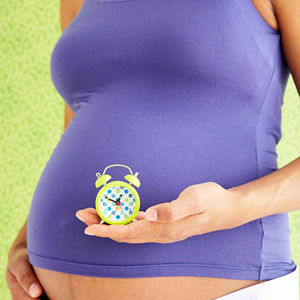 The earliest symptoms of pregnancy wax and wane and are different for each woman. But several first signs of pregnancy crop up well before you even miss a period. 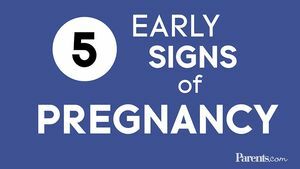 If you're the impatient type, here are the most common early-pregnancy signs to look out for starting the first week you conceive. Already experienced a few? 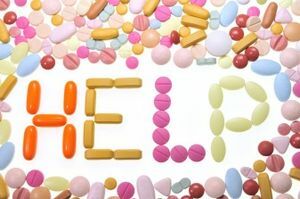 It may be time to head to the drugstore to pick up a pregnancy test or schedule an appointment with your ob-gyn. Is it possible to get pregnant after having my tubes tied? Wondering if you might be expecting? Here's what you should know while you're waiting to take a pregnancy test. "I Didn't Know I was Pregnant--Till Labor!" Everyone expects morning sickness and funny cravings during pregnancy, but there are plenty of other strange pregnancy symptoms you might not know about. 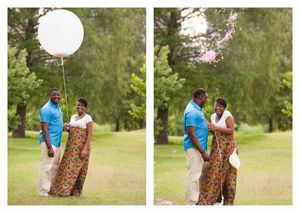 From sweet treats to wild antics, see the unique gender reveal ideas these parents-to-be came up with to share whether they were having a boy or a girl. 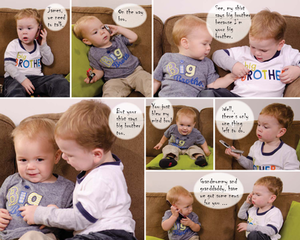 The Cutest Ways to Announce Baby #3, #4, or More! Just because you've already had one or two (or more) babies doesn't mean your latest addition shouldn't get a special announcement. 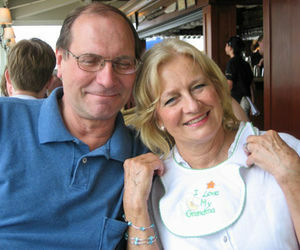 Check out these cute ways big families announced they were getting even bigger. You took an at-home pregnancy test, and it said you're not pregnant. But what are the chances you got a false negative pregnancy test result? 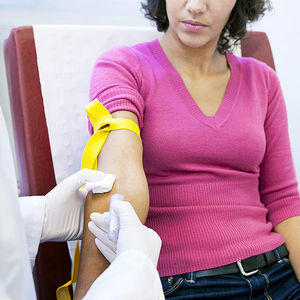 Wondering whether to trust an at-home pregnancy test or head to the doctor for a blood draw? Here's what you need to know if you're trying to confirm that you're pregnant. I had my tubes tied! Could I be pregnant? Can You Check Your Miscarriage Risk With a Pregnancy Test? Taking a pregnancy test after a miscarriage can be scary, but Clearblue's Weeks Estimator may help women detect their risk of pregnancy loss the next time around. 3 Things I'll Miss About Being Pregnant--and 3 I So Won't!